Growing your own produce at home has seen a surge in popularity in the last decade as it encompasses three huge trends: eating clean, saving money, and knowing exactly where your food comes from. 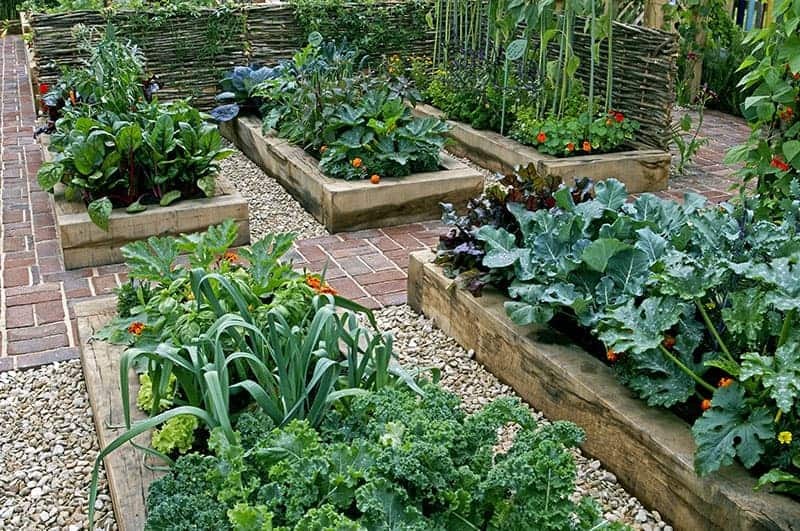 Raised beds are a sleek looking way to have your vegetable garden presented in your backyard. It looks clean and landscaped, while also being functional; you could grow different types of vegetables in each planter. For example, you could plant root vegetables in one planter, lettuces in another, and so on. This method of separating your vegetables in different planters will help you focus different types of plant food on specific types of vegetables to help them get the nutrients they need and improve their growth. 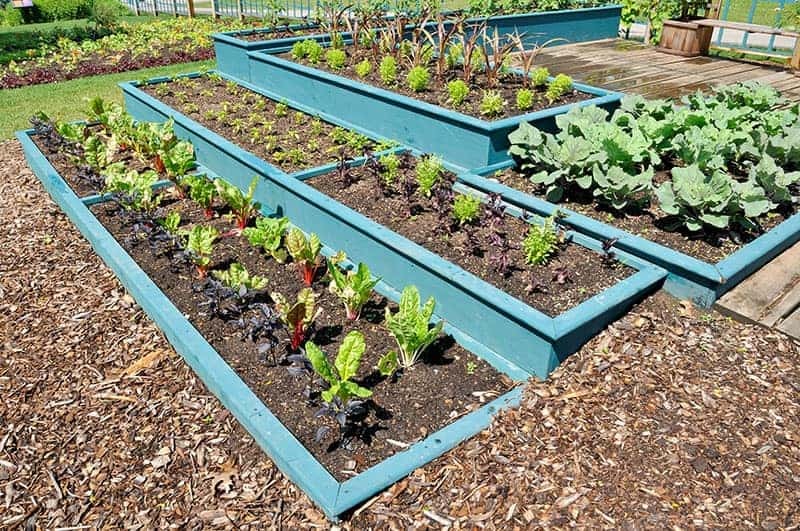 The raised beds shown here are bordered with wooden planks, keeping your vegetables to their own area and ensuring your yard remains neat and tidy. Vegetable gardens, though beneficial in many ways, are often considered to be quite unattractive and messy, and therefore are generally not present in yards that are immaculately kept. This doesn't need to be the case, however, as is displayed here in this yard where defined vegetable garden beds sit on a manicured lawn. 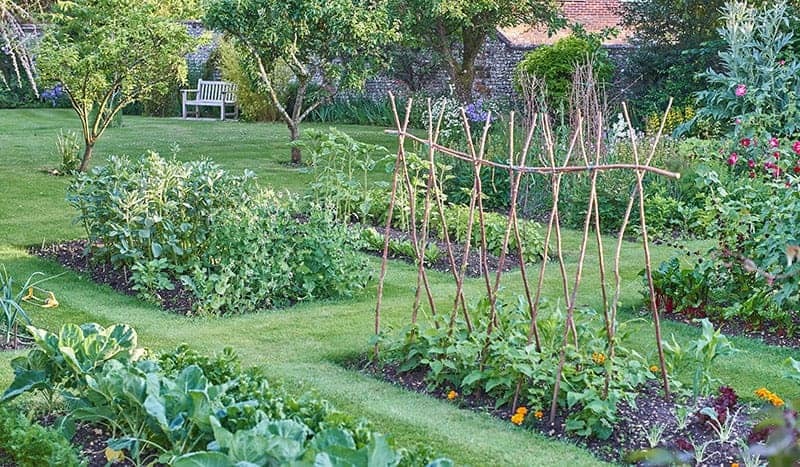 Providing the vegetable patches are well-maintained, you can still achieve a polished look. Using an edging tool around the vegetable beds will create a defined look, adding to the pristine effect. Grouping similar vegetable types together will also prevent the beds from looking disorderly. You don't need a lot of space or money to grow your own vegetables. 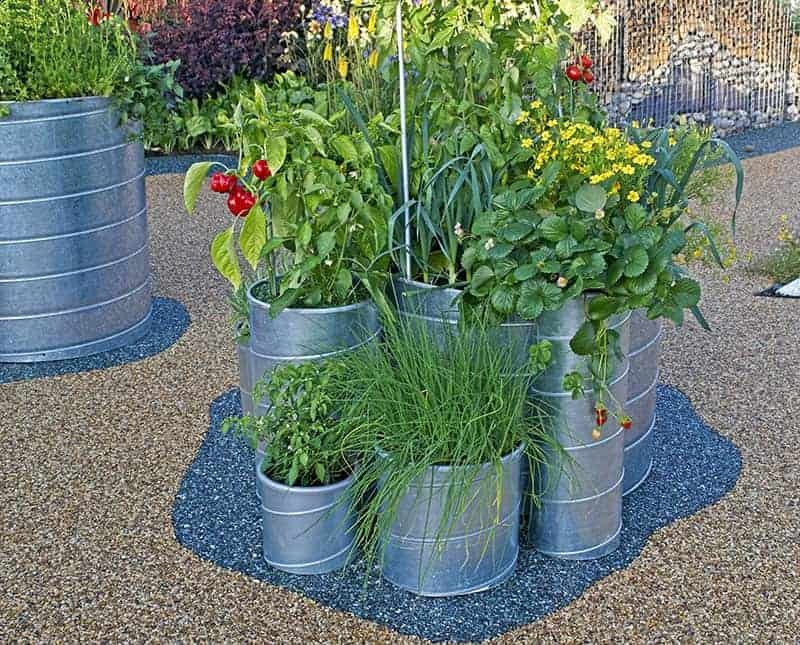 Pots and planters are ideal vehicles for growing vegetables, and you can use the containers that you probably already have lurking around your garage or garden shed. You could also pick up a selection of various pots at yard sales, as a collection of old mismatched pots filled with growing vegetables will fit with the popular rustic trend. Growing your own food doesn't need to be expensive; you can have fun sourcing containers from markets or friends and family, and then, find more enjoyment in planting your vegetables and watching them flourish in your inexpensive mismatched pot collection. 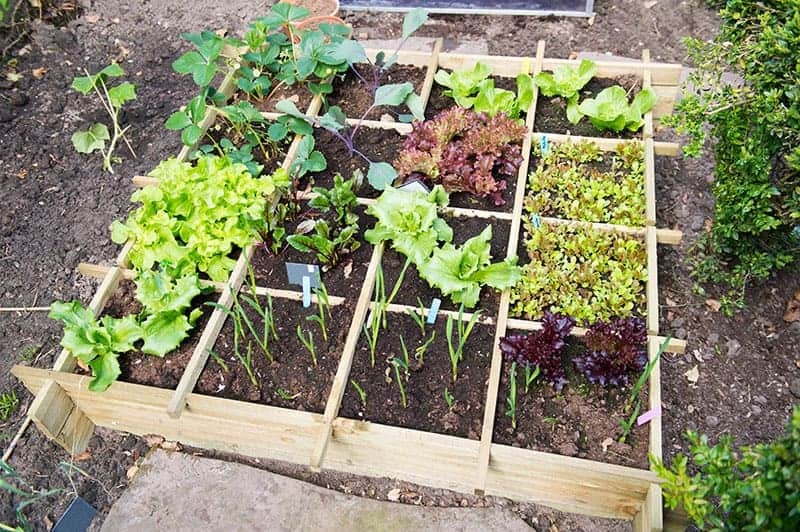 A large bed with a divider would work well for people who have a small to medium-sized lawn, or for people who want to keep their vegetable garden fairly compact while still growing a variety of vegetables. 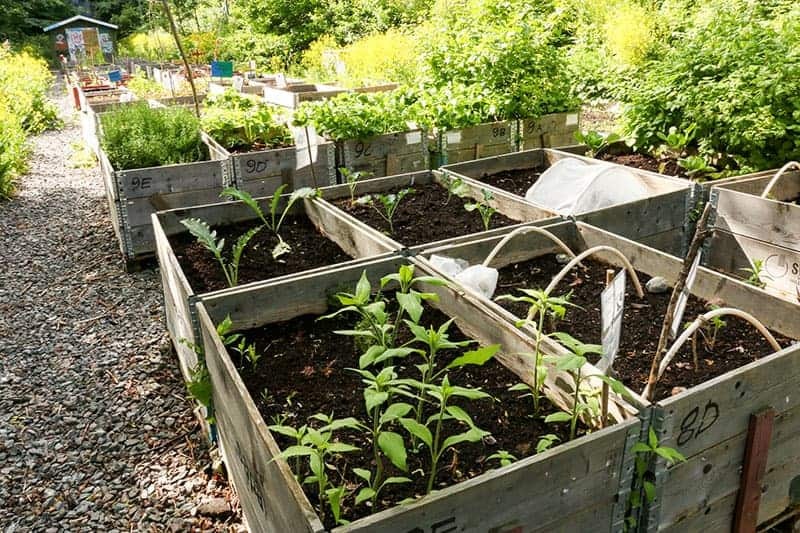 This is a more easily achievable alternative to having several vegetable beds, which would require more space and more effort to create. The divider is a simple and inexpensive solution for keeping different varieties of vegetables separate. These dividers can be purchased from hardware stores, but could also be easily replicated at home with a few lengths of timber. The planks need to be set out in a grid shape, and could be secured together either with glue, screws, tack nails, or garden string. 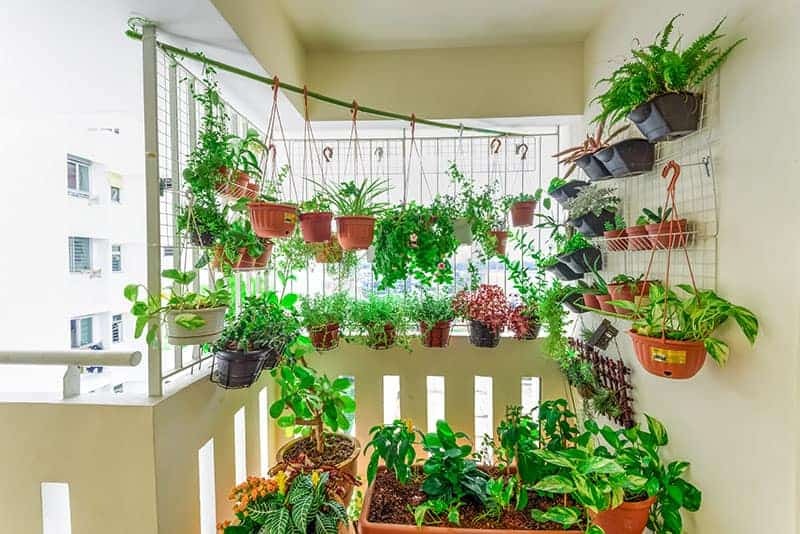 Growing vegetables in hanging planters is an excellent space-saving solution and could be done with just a few planters, or in bulk as seen here. 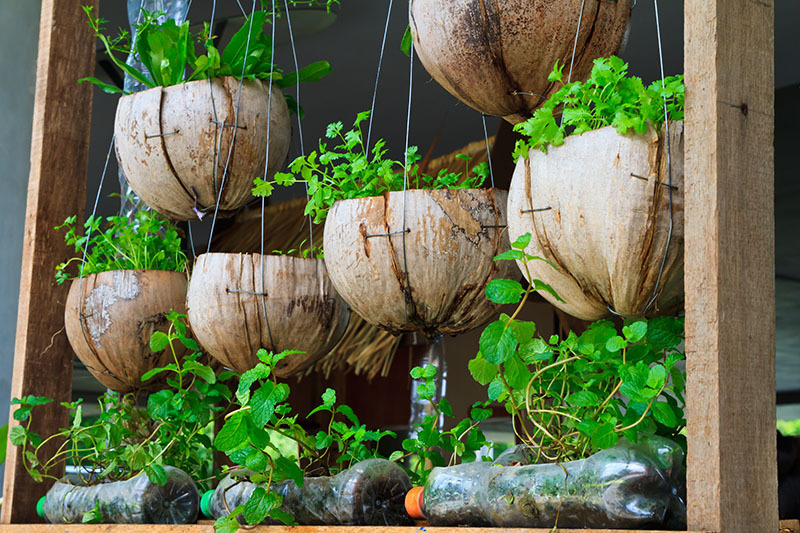 Utilizing hanging planters means you can keep different types of vegetables separate, which can benefit the plants themselves. But it will also make life easier for you if different vegetables require different treatment in terms of the frequency and amount of watering they need. Planters are best hung from metal frames for strength and stability as they can become quite heavy when filled. The planters themselves could be built from wood, metal, or plastic, depending on the look you are going for and the amount of money you wish to spend. 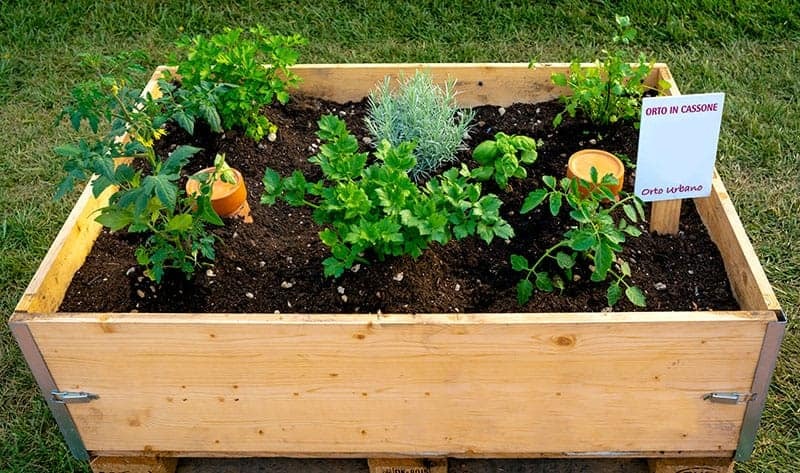 A vegetable garden in a box is a perfect way for urban city dwellers to grow their own produce. Your container box can be kept on a windowsill, a balcony, a terrace, or small garden, and the size of the box can be specifically chosen to suit your space limitations. Though you may not be able to grow an abundance of vegetables in a container box, a small selection of your favorite vegetables should be easily achievable. With the addition of a couple of grow lights, you can keep your garden growing all year round. You can also rotate your crops to grow different crops one after the other. If you are fortunate to have the space required, you could create your own vegetable garden by grouping together a selection of large planters. These deep planters are perfect for growing root vegetables that require extra space, and the height of them also means you won’t have to spend hours on your knees tending to the needs of your plants. Tall planters such as this would be ideal for anyone with joint issues, as you could happily pull up a chair and enjoy gardening without running into stiff joints or aching muscle issues. If you like your gardening endeavors to be more on the unique side, there’s no reason why you can’t get creative with your vegetable garden. 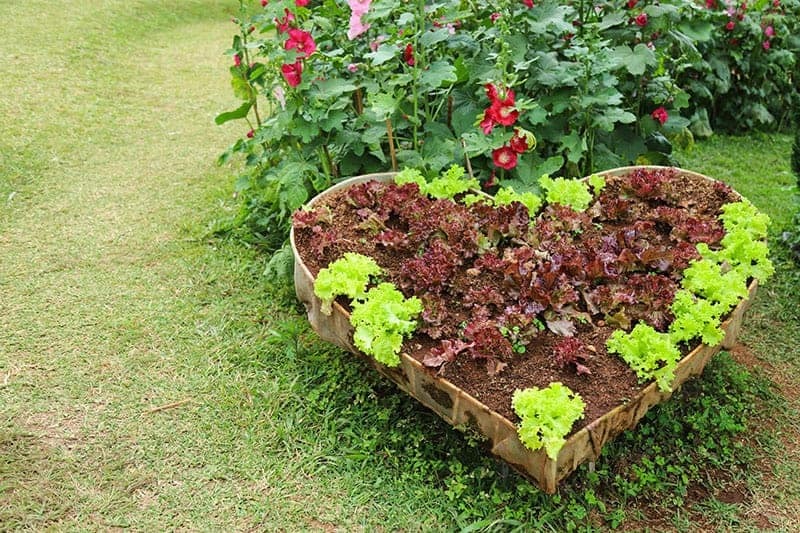 This heart-shaped vegetable plot is just one example of how you can customize your garden to reflect your personality. 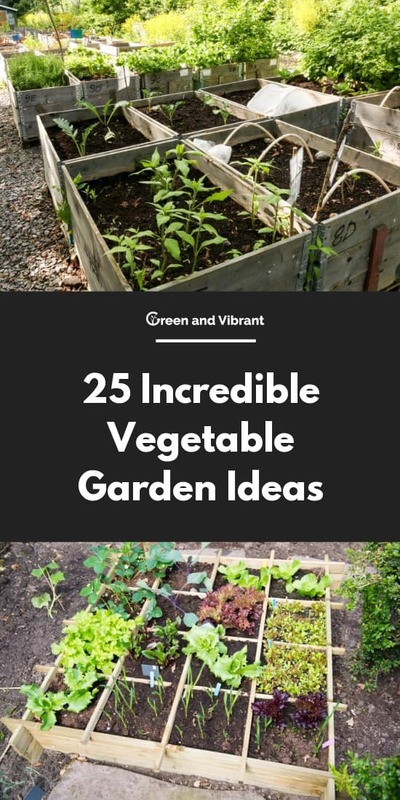 You could buy a shaped container to house your vegetables, or, alternatively, build your own vegetable bed on the soil in your yard to your chosen shape using regular garden tools. Edge the vegetable bed in a miniature fence to enclose the vegetables and maintain the shape. 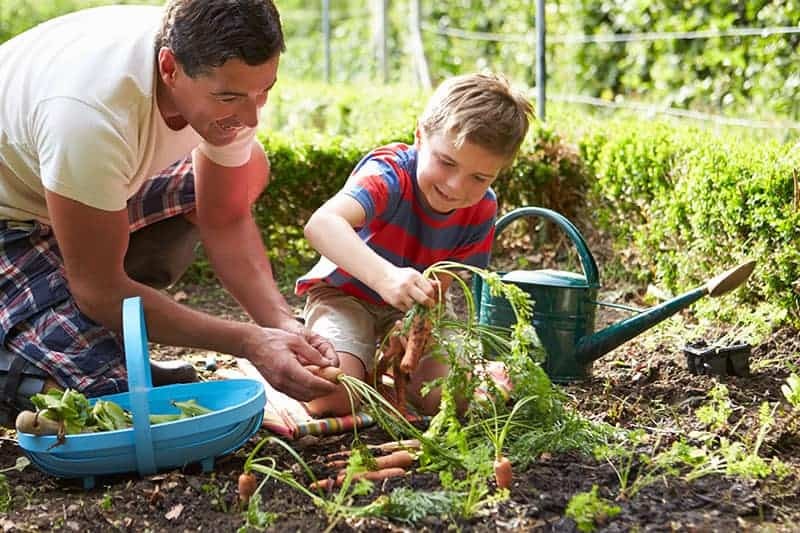 Having a vegetable plot in your backyard for your children to tend to has many benefits. Gardening can increase a child's concentration, help develop an interest in healthy eating, encourage children to spend time outdoors away from their digital devices, build self-confidence, and nurture a love of nature. Gardening is also a perfect way to bond with your children and allow them to reap the rewards of their handiwork. To create a children’s vegetable garden, focus on functionality rather than appearance. Build the garden in a safe place easily accessible for your child, and space out vegetables so that they can maneuver safely between them. If your backyard is on a slope, then instead of trying to contend with it, make a feature out of it. Create a multi-level vegetable garden by building planters in a step-like method, and make the most of your sloping yard. These tiered planters have been painted to draw extra attention to them. If you plan on painting your planters, be sure to do it before planting your vegetables and choose a hardwearing paint intended for use outside to prevent fading and peeling. 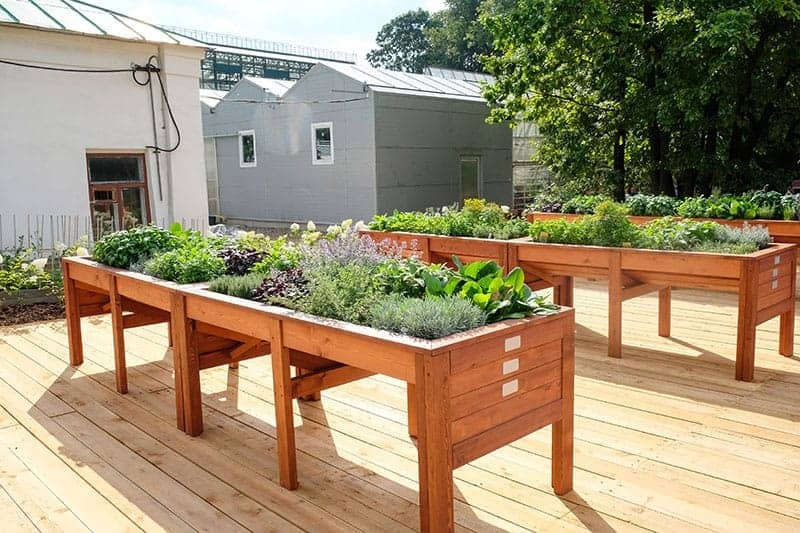 Planting tables, though generally quite costly, are an excellent space in which you can grow vegetables without using up valuable floor space. You can purchase planting tables in a variety of sizes to suit the space you have, the only limitation being that they tend to be quite shallow and so are not suitable for growing vegetables which require a lot of growing space beneath the soil. Obviously, they are portable and therefore can be moved into a greenhouse during adverse weather, or can be moved around your yard to a more suitable spot if you find your vegetables are not thriving. 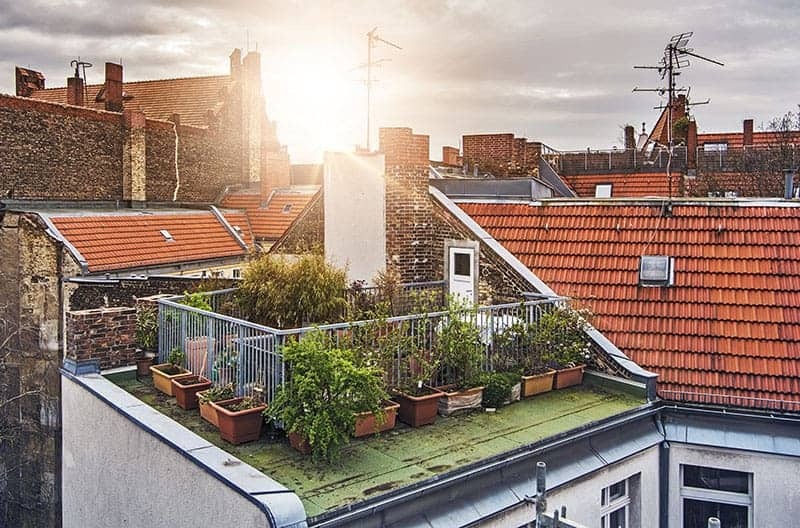 Accessible rooftops make excellent spaces for growing plants, herbs, and vegetables. Due to their comparative height with other buildings and trees, they tend not to be in the shadows during any time of the day, and therefore vegetables benefit from maximum levels of sunlight. They also make efficient use of rainwater. 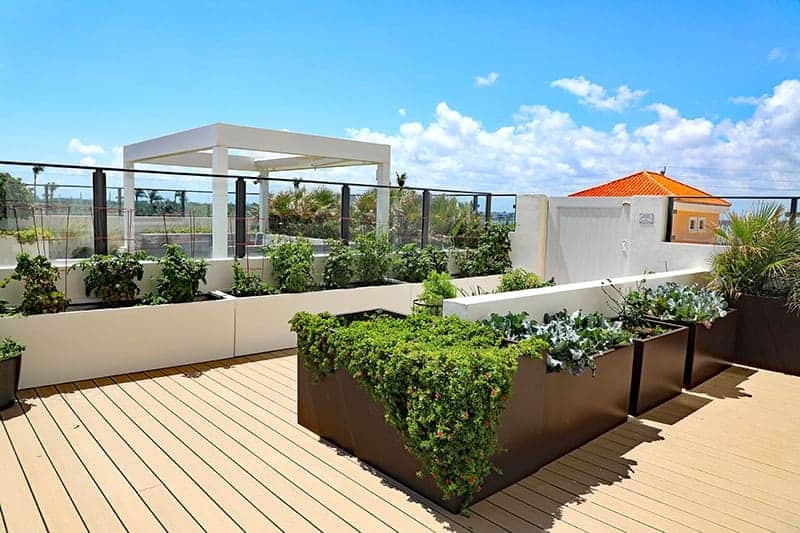 Having a vegetable garden on your roof gives you a peaceful and quiet place to relax in the middle of a city, as well as a great view while you’re gardening. Green roofs have many other benefits, including prolonging the lifespan of roofs by protecting their materials from the elements, as well as reducing energy bills as green roofs tend to keep buildings warmer. Communal vegetable gardens are growing in popularity as a means to enjoy fresh organic produce while also building relationships within the community. The general idea behind community gardens is that a single plot of land, typically owned by local authorities or a non-profit organization, is turned into a communal vegetable garden that can be nurtured by individuals within the community, who then share the produce once it is harvested. 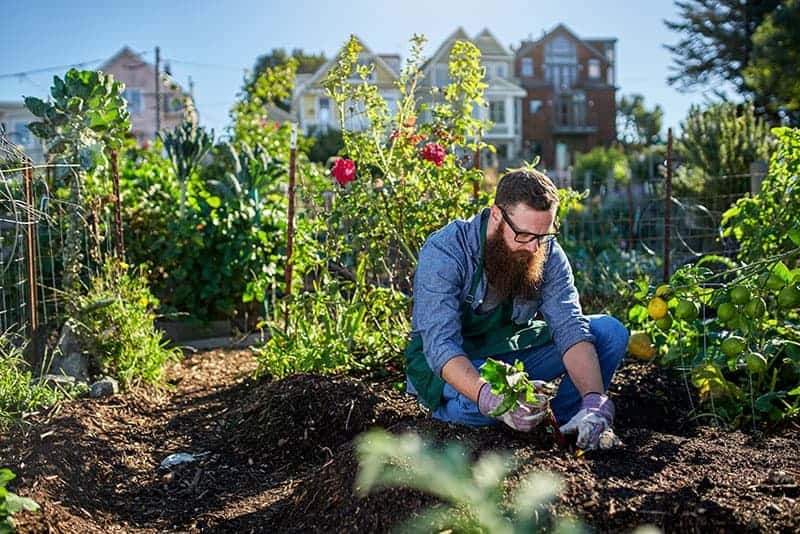 These community vegetable gardens are a great way to get to know your neighbors and build positive connections in your neighborhood. They also improve the attractiveness of your local area and encourage community spirit. Galvanized containers can be utilized as portable vegetable containers in backyards, on balconies, or on rooftop gardens. They are especially useful for growing vegetables which have deep root systems, due to their depth, along with plants which bear fruits, such as tomato plants, as stakes can easily be placed in them and won’t fall over. Galvanized pots are very sturdy and hardwearing, and therefore are a good investment which can be used year upon year. They have a trendy industrial look about them, which has become increasingly popular in recent years and can be picked up relatively cheaply at hardware stores. 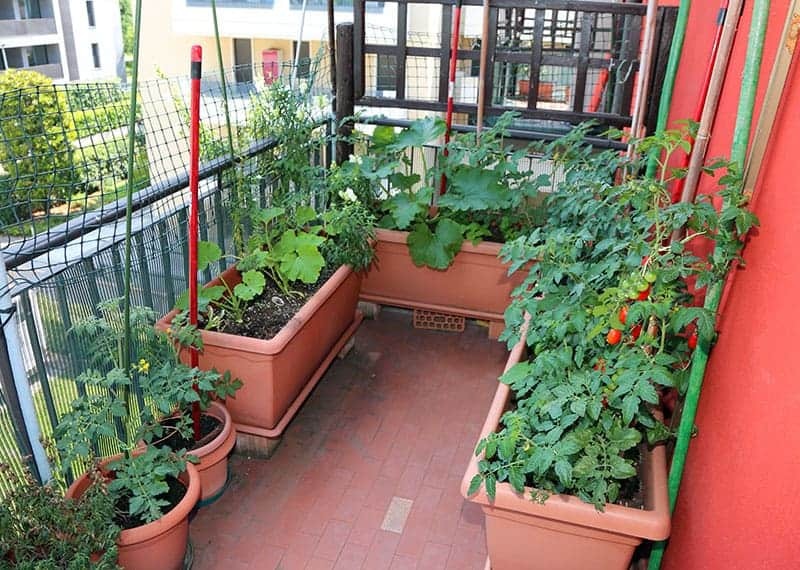 In lieu of a backyard, you can make use of your balcony as a home for your vegetable garden. 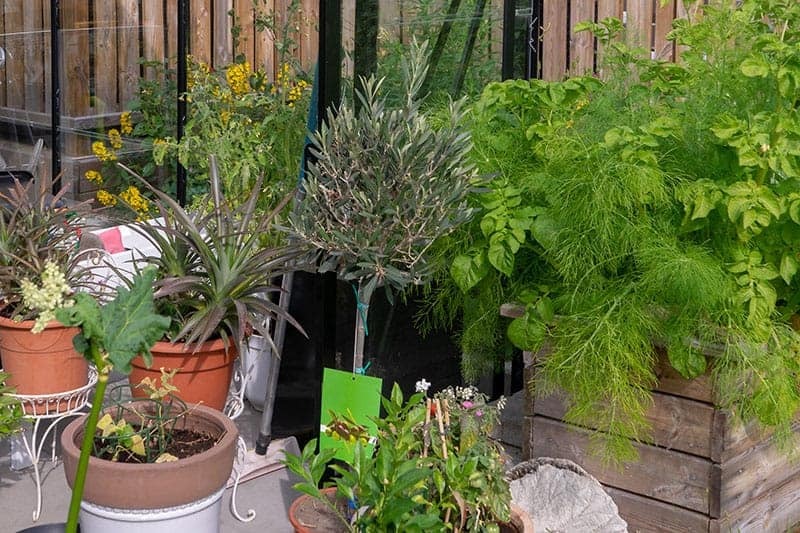 You can be selective with your choice of vegetables, choosing to grow only those that take up limited space, or if you’re keen on growing a wide variety of produce, then you can maximize growing platforms by being clever with your space. Balcony planters are available that can be fixed to the railings of a balcony, creating a growing space which didn’t previously exist. You can also create more growing space by placing planters on shelves on your balcony, fixing planters to the walls, or using hanging planters. Wall planters solve the problem of trying to create a vegetable garden in limited space. 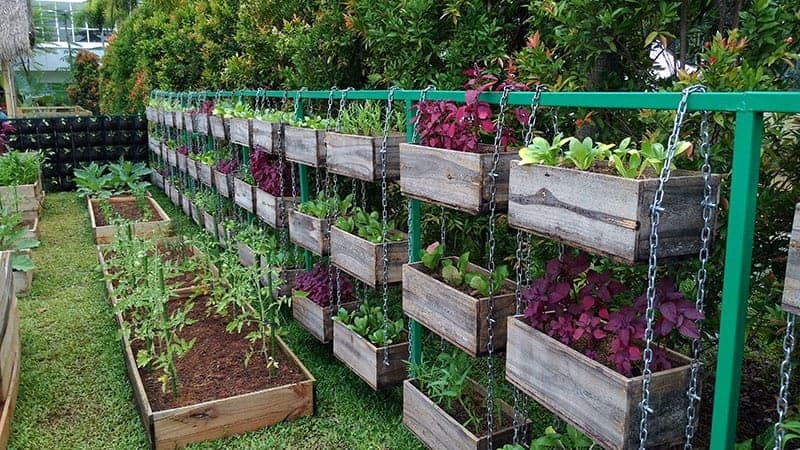 Wooden or metal planters can simply be hung or screwed onto the wall, providing a place to grow your produce. If positioning several planters on to a wall, be sure to allow enough space above each planter for the vegetables to grow upwards. If your outside space is decked, consider using solid planters to house growing vegetables. Concrete or metal planters can look sleek and elegant on decks, and they do a great job of keeping soil and compost from spilling out onto your deck. Large planters filled with vegetation will also provide some welcome greenery on a decked area. 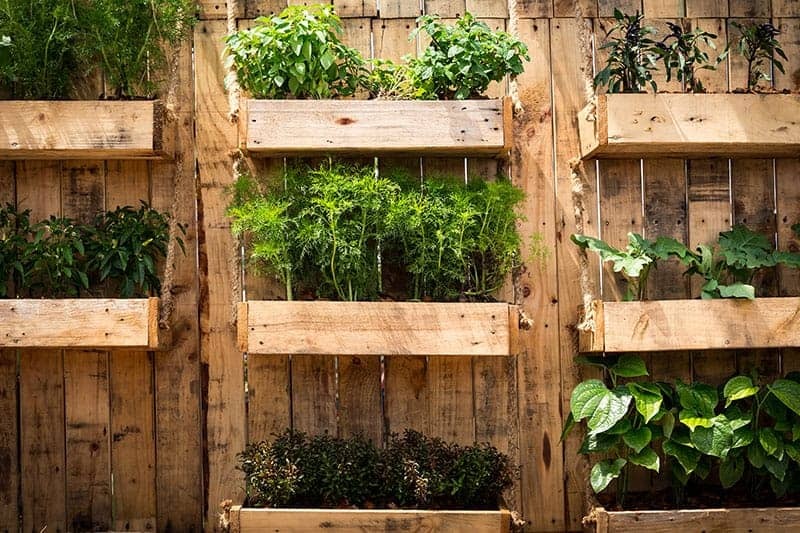 Vertical gardening has really taken off over the last few years, as growing plants and vegetables has become more trendy among younger generations who often live in apartment blocks or have very limited outside space. A vertical garden can be looked upon similarly as the idea behind high rise buildings; when you don’t have the floor space to build outwards, instead build upwards, creating masses of space on a small footprint. 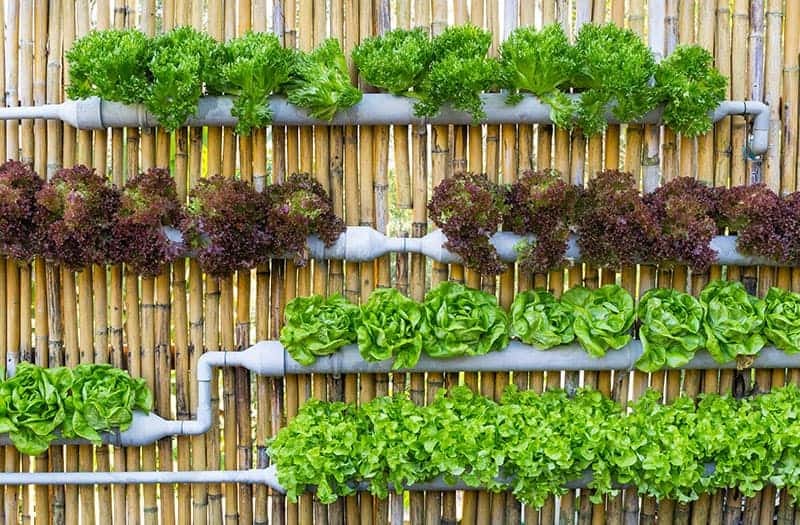 A vertical vegetable garden can be achieved by creating vessels on your walls or fences in which you can plant your growing produce. Hanging baskets are synonymous with flowing flowers, but they are actually a great receptacle for growing produce, particularly herbs that don't require as much growing room as vegetables. You could hang baskets in your backyard or on your balcony, growing herbs to complement the vegetables you have growing elsewhere. This window box is proof that you don't require any outside space at all to grow your own vegetables. Produce can be grown entirely indoors as long as it is placed in an area with lots of sunlight, such as a windowsill. 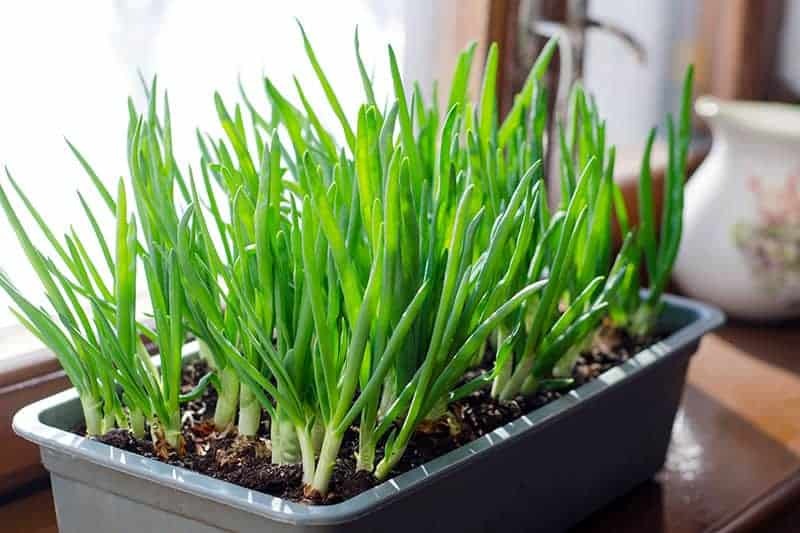 Green onions are the perfect vegetable to grow in a window box as they need very little space, and a large quantity can be grown in a relatively small container. If you're only just embarking on your vegetable growing journey, then you may want to start small rather than going whole hog right from the start. 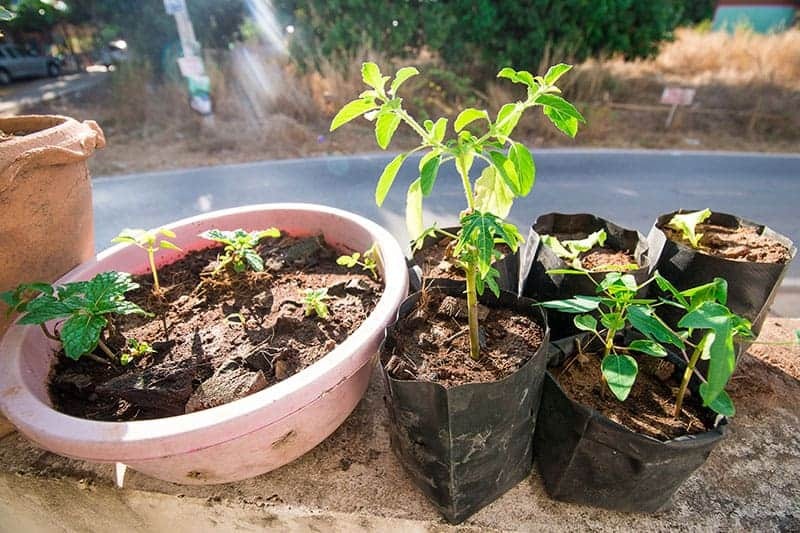 You can grow your own food with just one container pot, and once you become accustomed to the level of care your growing vegetables need, you can choose to branch out with more pots, or just continue with your one pot project. 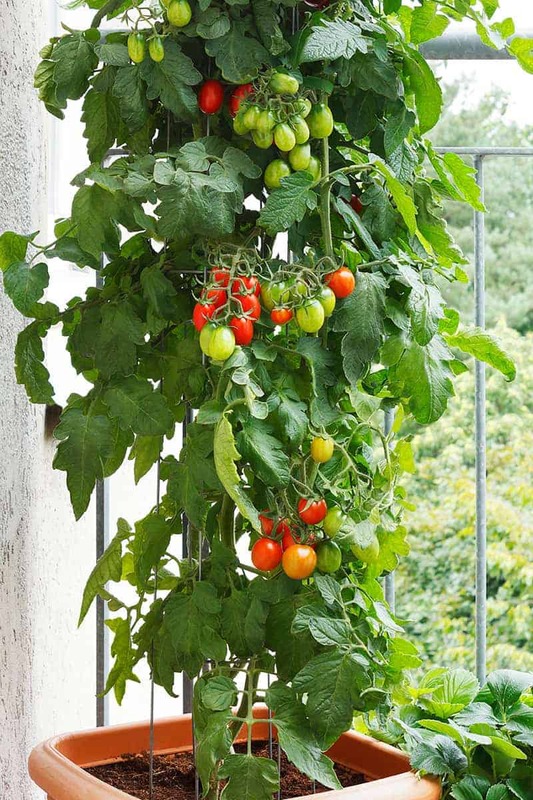 A tomato plant is always a good starter plant, as it grows upwards fairly rapidly, requiring little space to achieve an abundance of the fruit. If you're not particularly interested in how your vegetable garden looks, then grow bags are the perfect low-cost medium for growing vegetables at home. They can be washed out and reused after each season, providing a long-term solution for your vegetable growing needs. They are popular among experienced gardeners because they don't dry out at the bottom like some pots do, retaining more moisture and nutrients for better plant growth. Hydroponic gardening is the art of growing plants without the use of soil or compost. 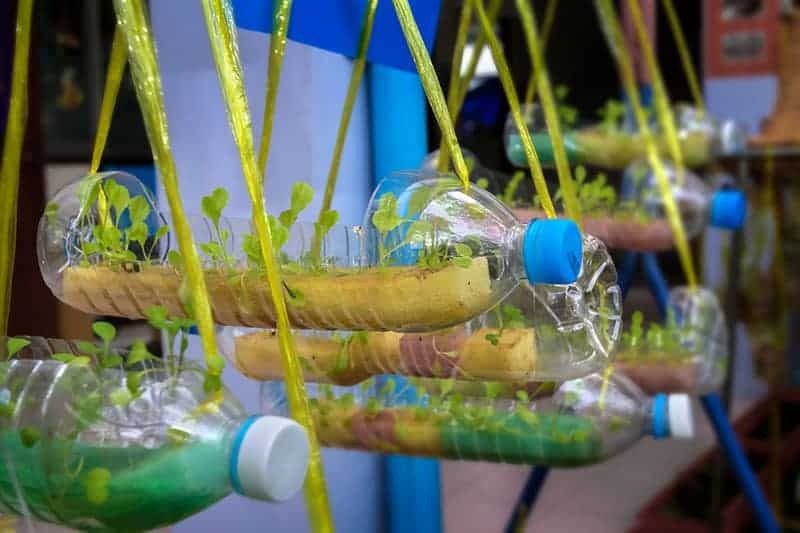 It is taking off in a big way in the vegetable supply industry due to its efficiency, but a DIY hydroponic vegetable garden can be achieved at home with a little bit of research and some basic items that you probably already own. 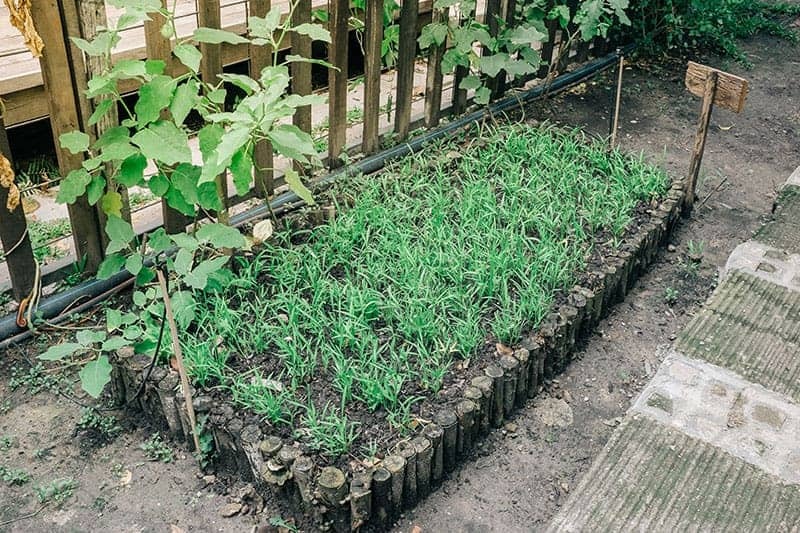 Create your own vegetable plot in your garden by simply introducing nutrient-dense soil into a specific area and enclosing it with a low-height edging strip. The benefits of this option are that you can completely customize the size and shape of your vegetable garden, and it involves very little time, effort, and money spent before you can jump in and get your hands dirty with planting your veggies. The humidity in a greenhouse makes for an ideal vegetable growing environment, and you will find that your vegetables thrive more so than if you grow them in an open space. Though greenhouses have taken a dive in popularity, most likely due to their often unattractive appearance, there is no contest when it comes to the best conditions in which to grow plants. 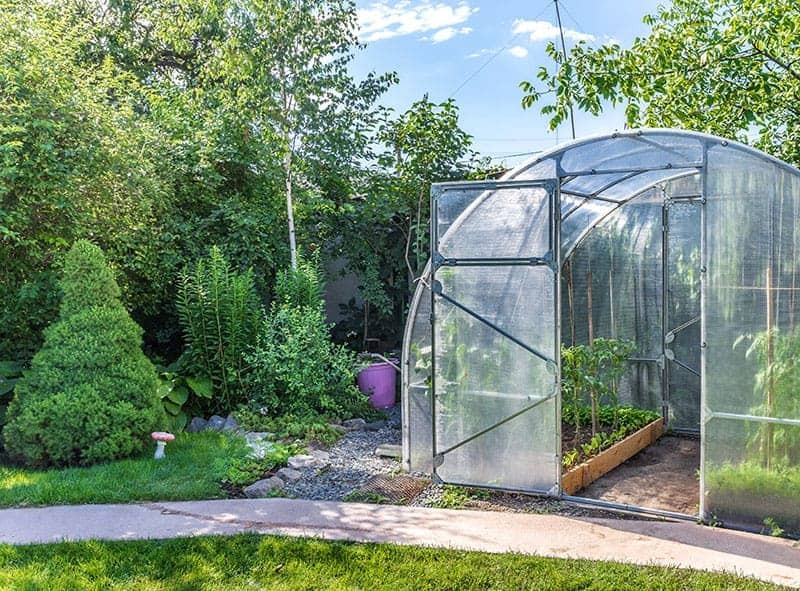 If you're willing to spend a small fortune, there are modern greenhouses on the market to house your vegetable garden and make a trendy statement in your yard at the same time. Growing your own vegetables is a very rewarding hobby, whichever way you choose to do it. Has this list been helpful? If you've been inspired to start your vegetable gardening journey, feel free to share this list, and post your comments in the section below.